Original price retails at PhP 999.00 each. Join this giveaway and get the chance to win 1 for yourself! And as for the mechanics... Kindly proceed to the Rafflecopter and follow the easy ways to send in your entries for a chance to win 1 Encara BB Cream for yourself. 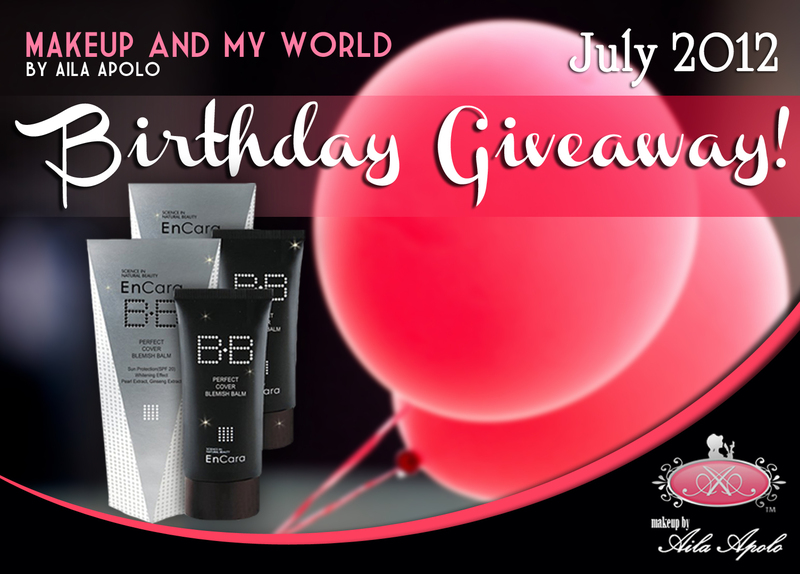 Giveaway starts today, July 11,2012 and ends on July 31,2012. Winners will be drawn through Rafflecopter as Powered by Random.org. The names will be announced through a blog post within 24hours after the giveaway closes. The winners should message me through my Facebook page within 24hours from announcement, if not,another name will be drawn. 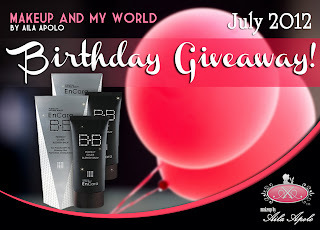 Visit http://ailaapolo.blogspot.com/2012/07/july-2012-birthday-giveaway.html for full details!